But safe spaces, as I’ve discussed before, are death for drama. Realistic characters, left to their own devices, will stay safe, physically and emotionally. This leaves a writer with two choices: create dumb characters who blunder into danger, or put realistic characters in the sort of situations that would believably take them out of their comfort zones. This is why training sequences, in any sort of movie, tend to be dull. In real life, a properly-designed training program should be a safe space, but that kills the jeaopardy. Kung Fu Panda was a fun movie, but they spend most of the movie in a rather pleasant training program, so there’s no physical jeopardy until the very end. There’s social jeopardy, but when your movie has “kung fu” in the title, people expect a little more. How to Train Your Dragon is another movie with a lot of training sequences, but they manage to convince us that the training sequence are genuinely dangerous: kids are forced to fight against untamed dragons who genuinely seem to want to kill them. To make this believable, they have to convince us that the problem is so severe that the villagers would actually be willing to kill off kids who can’t cut it. This is set up by showing a harrowing-but-typical dragon attack at the beginning and making it clear that the life expectancy is very low. We don’t see a lot of bodies but we do see a lot of stumps for limbs. We get that these kids have to get tough, even if a few die in the process. Once we accept that, we can fully enjoy the training sequences, content in the knowledge that the stakes are high and death is always on the line. Perhaps this is why training sequences frequently devolve into the sort of montage that TEAM AMERICA skewers so hilariously. If there's no actual danger, why not condense it and move on to the next thing? One of my favorite training narratives in the movies is in THE DIRTY DOZEN. It's the heart of the movie really, arguably more compelling than the final mission. And it works because you get to know and love the characters but also because they all have something at stake -- not life and death danger per se just yet, but to prove to themselves and their leader that they can do it, that they're worthy of their mission. Not sure about your high school = danger/ college = safe place equation. I know many for whom this was not the case. 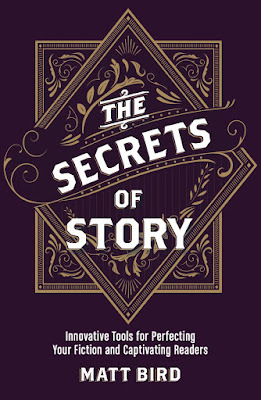 And the best college stories like POISON FRIENDS (which we've talked about before) and Donna Tartt's THE SECRET HISTORY succeed in making college just as treacherous as any dragon-infused fantasy land. The Dirty Dozen is an interesting case. It's still a great movie, but I actually do think that the movie would be stronger if the training sequence was shorter and the actual mission was longer, for precisely this reason. I once was invited to submit a treatment for the never-made Dirty Dozen remake, and I cut the training down to about 10 minutes. All of the simmering hatreds that added danger to the training sequence in the original came out on the mission itself in my version. One thing that Dirty Dozen, Poison Friends and The Secret History all have in common is that they all involve sociopaths and/or psychopaths who have insinuated themselves into the safe space, which is a great way to make training scenes come alive with danger. I suppose I'm a sucker for procedural detail, so I'm always trying to figure out how to put more of it into a story without sidetracking the narrative. There are some thriller stories where the training blends into the action, where it's not clear if the characters are playing/learning or if the action is real/final/for keeps. I'm thinking of certain scenes in films like HOUSE OF GAMES, THE RECRUIT, PRIMER. But are there other different ways to do this, to have training/learning moments with high or ambiguous stakes? I suppose the greatest one of all is [SPOILER ALERT] the-M. Night-like twist in ENDER'S GAME, where the elaborate simulation training turns out secretly to have been the big mission all along. I think that's why "Ender's Game" has never gotten made. The stakes SEEM so low ...until the twist is revealed. To me ENDER'S GAME plays out for most of its time on a first-read like a great boarding school drama -- like HARRY POTTER even -- with deadly serious games and bruising academic competition and social hierarchies. The stakes are, in fact, very high within this limited world. It's just that the ending shifts the stakes and the storyworld retroactively into the stratosphere. The key to nailing this adaptation is to have us so interested in the school world that we care who wins the final test as much as we would if it were a real war -- which of course it turns out pretty mind-blowingly to have been all along. Thinking more about THE DIRTY DOZEN it occurred to me that the model for this quintessential "guys on a mission" movie is really the heist/caper film -- in which an ensemble cast first rehearses an elaborate plan and then executes said plan, which, of course, never actually plays out according to plan. So it's less "training" and more "rehearsal." And that one of the inherent conventions (and also pleasures) of the genre is the way in which the plan plays out or doesn't and needs to be improvised through anyway. As exemplified in the OCEAN'S movies. Granted, the stakes are never as high in a rehearsal as they will be when the team goes on for real. But you can't just chuck out one of the key parts of this genre, can you? Well, okay, yeah, I suppose you can -- THE KILLING, RESERVOIR DOGS, etc. etc. I answered my own question. And darn it if these films that scramble the time-frame and omit part or all of the rehearsal and/or the heist itself aren't even more compelling.